Lots of expensive things come in small packages. Diamonds, vanilla extract, and bead store purchases to name a few. I haven’t figured out how to make diamonds yet, or get out of a bead store without spending at least $89, but making vanilla extract is so easy! Do it today because it takes two months to become magical. Guess what every one is getting for Christmas? 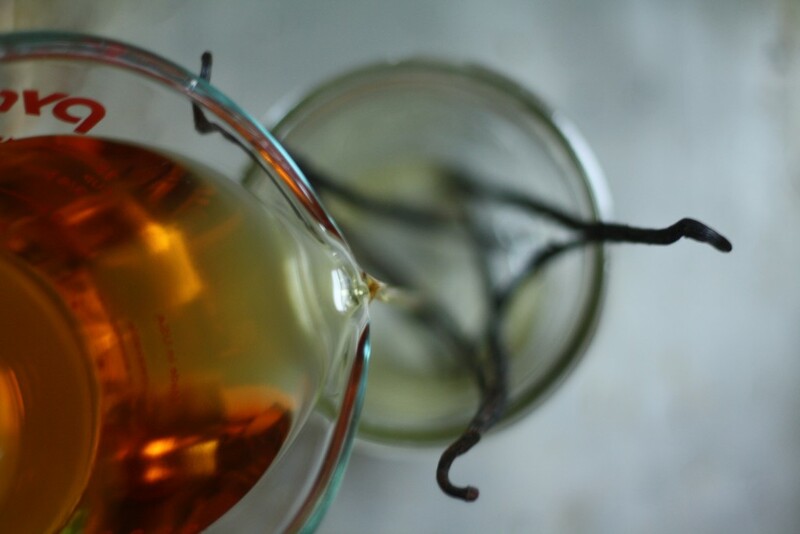 The ratio to make vanilla extract is one cup high proof alcohol to three vanilla beans. 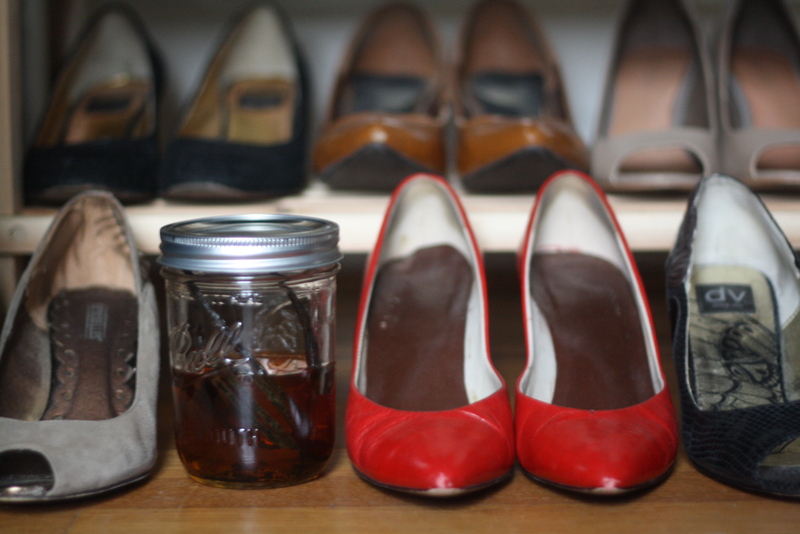 So mix and match your booze, make a few cups, but just don’t forget about it in the back of your closet. Split the vanilla beans lengthwise, leaving about an inch at the top of the bean uncut. Place in a clean jar with a tight fitting lid. Pour the rum over the beans and store in a dark place. Give the jar a good shake every week or two. After two months, remove the beans and pour into tiny bottles. The best part: you don’t even have to stress about Christmas presents ’cause you took care of it months ago! The shoes. 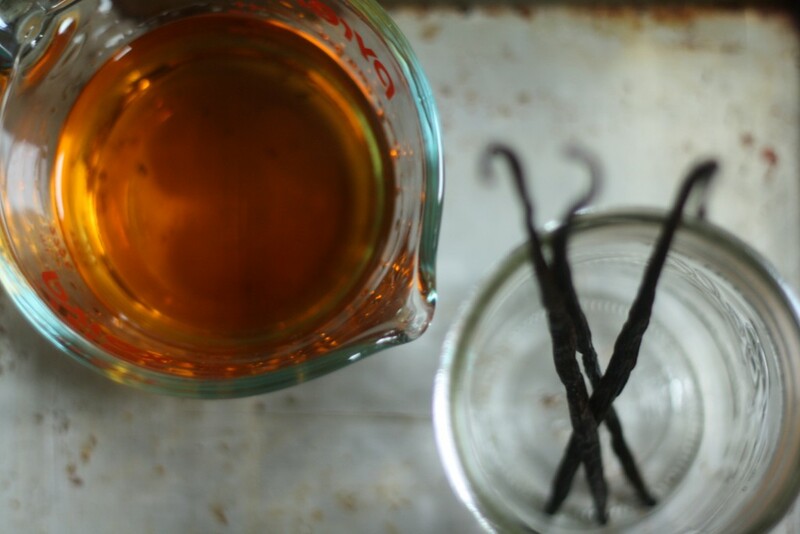 Home-made vanilla extract sounds amazing (! ), but I am most in awe of your shoe array. So effortlessly organized, so aesthetically pleasing. You have so many mysterious powers. do you think we could use bourbon instead of rum (for a little bourbon vanilla extract)? is it a high enough proof? got my jars in the mail this weekend…. Yes, bourbon is a great substitute – yet another example of bourbon making everything better!